Previous Experience: Licensed Massage Therapist Since December of 2002, Massage Instructor Since 2007, Continuing Education Provider Since 2009, Nationally Licensed Massage Therapist Since 2010, Massage Establishment Business Owner Since 2012, Graduate of the University of Houston Downtown with a Bachelor's Degree of Business Administration with a major in Finance Since 2013. Director of Massage Therapy Educational Institute since July 2014. I am a Licensed Massage Therapist because I enjoy the satisfaction that I receive after significantly reducing a client's pain level, while increasing their range of motion, and helping them escape from the stresses of reality. I have completed over 25,000 hours of Therapeutic Massages since my licensure. I specialize in a combination of Deep-Tissue and Neuro-muscular Therapy. I practice massage on a range of clients that have sedentary business life-styles to professional athletes to help prevent injuries through body maintenance with regularly scheduled massage appointments. I am a Massage Instructor because I personally enjoy the challenges of teaching others how to help clients feel better through an understanding of the structure and functions of the body's systems. I have over 12,000 hours of classroom experience teaching the state required course to become a Licensed Massage Therapist and helping Licensed Massage Therapists complete their continuing education requirements to renew their licenses. I have been a therapist since June of 2001. I do mostly Deep-Tissue massage, with a mix of Trigger-Point and Reflexology. I do massage to help people feel better and have a better quality of life. I enjoy helping people. I’ve been massaging since April of 2006. I specialize in Deep-Tissue and Trigger-Point. However, I do Swedish Massage as well. I am a Massage Instructor who specializes in training students about the different modalities or types of massage therapy you need to be successful. I will devote all my energy to helping you and getting your body to the place it needs to be. I look forward to starting our massage plan. I am an accountant and receptionist at Serenity Massage P.L.L.C. I am very excited about our new massage establishment. We have a very well experienced, versatile, friendly staff. I have been a Licensed Massage Therapist since September of 2011. I am certified in a variety of modalities including Swedish massage, Deep-Tissue massage, Hot Stone massage, and Trigger-Point massage. I am most well-known for my Therapeutic massages with deep-tissue massage techniques. I enjoy the satisfied look on my client's face as they leave the massage room with improved mobility and reduced pain. I have been a licensed massage therapist since 2007. I specialize in deep tissue, trigger point, sports massage and migraine massage. I have worked on a wide range of clients from sedentary lifestyles to athletes and I thoroughly enjoy helping all of them. I believe in adding Swedish relaxation to most of my massages as well. Relaxing the mind and body are just as important as correcting muscle imbalances and I find it very satisfying to be able to help clients not only alleviate pain and improve their body function and mobility but also relieve their tension and stress. As a migraine sufferer and insomniac, I found massage therapy as a lifesaver and I love to open clients up to a new way of bringing their bodies into balance. I am also a Licensed Massage Instructor and CE provider at Serenity. I look forward to helping other Massage therapists and potential Massage therapists reach their goals by providing as much knowledge as I can for them to be successful and grow. I hope to help them develop their own passion for helping others and am excited to see them begin their own journeys. I am officially a Licensed Massage Therapy and working with Serenity Massage P.L.L.C. not only to provide massage and spa services, but also the new Marketing Assistant! I have some wonderful ideas to help spread the word about all the amazing services we offer and the extraordinary team that provides them. I have a passion for providing lymphatic drainage massage, sports massage, and therapeutic pain-management massage. I have been a realtor for years and continue to focus on my education and new career in the field of massage therapy. I am currently available to take appointments during the day and some evenings during the week if you need to come in for a massage after work and before drifting away into a night full of deep sleep. Call now to request an appointment! I have been a licensed massage therapist since 2009. I am certified in trigger-point, reflexology, myofascial release techniques. and migraine relief. I specialize in Swedish massage with an emphasis on relaxation, stress, and tension relief. I am a licensed massage therapist, licensed esthetician, and marketing executive of Serenity Massage P.L.L.C.. I have been a massage therapist for 17 years. My passion is to help others and relieve their pain, stress or to just enjoy a relaxing massage. My specialties are Deep-Tissue Massage, Swedish/Relaxing Massage, Lymphatic Drainage, and Body Contouring Massage. I love my work because it's very rewarding for my clients to experience a massage that is benefiting their health and wellness. I'm also a Licensed Skin Therapist and I graduated from Skin Care in March of 2016. Call today and schedule your appointment for a massage and facial with me. I made the career switch into massage therapy three years ago, after a career of working in the corporate world. My career was spent mostly at a desk in the office and I can tell you from experience that it is vital to listen to your body. I did not and because of that, I ended up in a state where I could not turn my head to the sides and suffered from massive migraines. It was then when I finally listened and started to receive massage therapy. It has helped me so much and that’s why I have so much passion and respect for the practice of massage therapy. After making the decision to change careers, I studied at the Texas Center for Massage Therapy and graduated in 2016. I love helping other feel their best and showing them small things they can do at home to help improve mobility and relieve chronic pain. I also love my cat Percy, video games, reading fiction and all things science fiction. I have been a Licensed Massage Therapist since May of 2018. A Houston native and graduate of Lone Star College’s Massage therapy program, I am a hard-working compassionate therapist. With an intuitive sense, I combine several techniques to tailor the experience to a client's need and preference. For me, massage is a profession of passion, I enjoy helping my clients by decreasing their pain, reducing stress or simply helping them find peace and relaxation for an hour at a time. I have been a massage therapist since June 2017. I specialize in Therapeutic Massage with Deep-Tissue techniques. I am certified in several massage modalities such as Trigger-Point, Migraine Relief, and Cupping. I am continuing my education constantly to provide relaxing and pain relieving massages to my clients. I love being a massage therapist. I enjoy seeing my clients leave smiling and knowing that I have helped relieve their pain and stress. I have been a licensed massage therapist since 2013. I specialize in Deep Tissue, Hot Stone, and Trigger-Point Massages but I am also skilled in Swedish Massage and other techniques. I am dedicated in ensuring that each client who reaches my table leaves with all the of the weight lifted off their shoulders. I always knew that massage therapy was the field I was going to pursue. I have worked at retail massage chains in addition to independently owned businesses so I have a wise range of experience in the massage field. I am confident that each client I'll have the pleasure meeting will have the most relaxing and comforting experience. 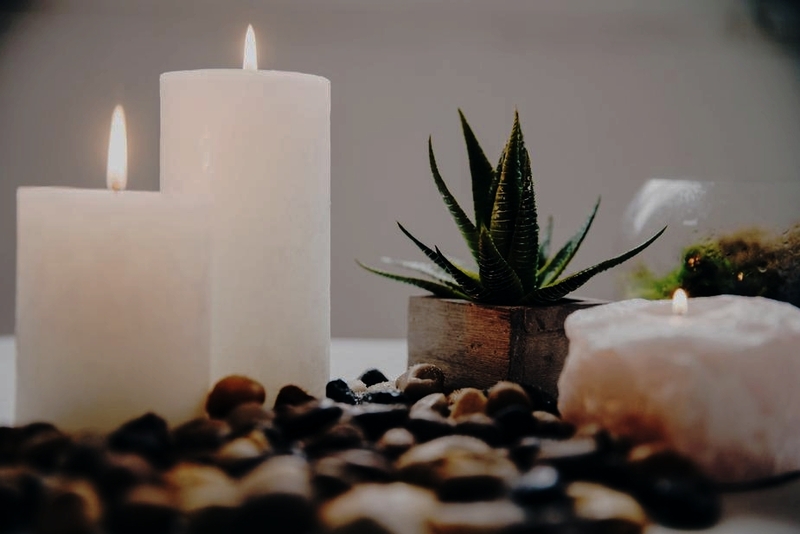 As the office manager and marketing executive of Serenity Massage P.L.L.C., I have seen firsthand how transformative the services we provide are for our clients. Working here has reignited my interest in health and I am currently studying holistic nutrition, herbal medicine, behavioral science, and the numerous connections of wellness. While I was a student at the University of Houston, I studied marketing, journalism, and political science and graduated with a bachelor’s degree in public relations. Throughout my time in university I worked in fashion management and merchandising, restaurant hospitality, and human rights. I hope to utilize my background and experiences to help others find healing solutions. I enjoy spending my leisure time hiking in the woods, reading, and brewing a relaxing pot of tea.